After recently dropping the price of the Nisan Leaf in both the United State and UK, Nissan is now reportedly cutting the price of the all-electric Leaf in Australia. Japan’s Nissan is lowering the price to $39,990 (Australian dollars). 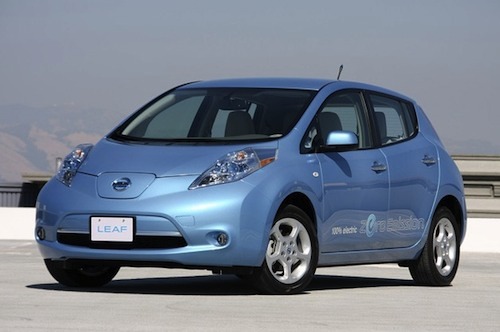 That’s a substantial $15,000 less than when the Leaf was first released in Oz mid last year. This will position the Leaf at around $3,000 more than the Toyota Prius hybrid, and $20,000 less than the GM Holden Volt extended-range plug-in, according to the Telegraph. Apparently Nissan has been able to drop the price in various countries partly by moving to assemble the cars in Japan, the U.S., and the UK, rather than only in Japan. Sales of the Nissan Leaf more than doubled in April in the U.S., so it’ll be interesting to see if the price drop begins to increase sales significantly in Australia. Given the drop is a hefty $15,000, it’s hard to see how it won’t.